I'd wanted one for ages, but it never fit into my budget, plus I mostly read print books anyway. When I saw the Kindle Fire HD on sale for $159, though, it was way too good a buy to pass up. I'd been reading eBooks using the Kindle app on my laptop and phone, and I have to say, I'm finding it SO much more convenient to read them on the Kindle. I'm loving all of its other features, too. I'd been thinking about replacing my laptop with a tablet eventually anyway, and the Kindle's sale price sealed the decision. I was also excited to see that my library's eBook collection includes several titles that I've been dying to read but the library doesn't have print copies of. Yay for getting an e-reader. I used to read on my laptop too and I was so relieved when I finally got my reader last year. It was so much easier to read, especially for my eye-sight. Catching Liam was a cute read. I hope you enjoy it. 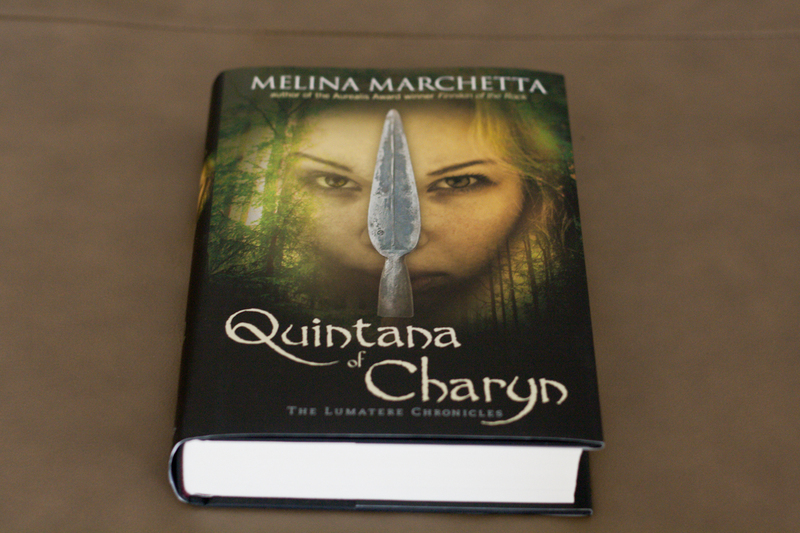 I've heard great things about Q of C and Melina Marchetta's writing. Thanks! I'm finding the Kindle a lot kinder to my eyes for reading than the laptop, too. Glad to hear you liked Catching Liam; I'd seen it around quite a bit, and the 99 cent sale was too good to pass up. And I finished Quintana yesterday- loved every word of it. Congrats on your ereader :) I have the Kindle Fire HD as well! 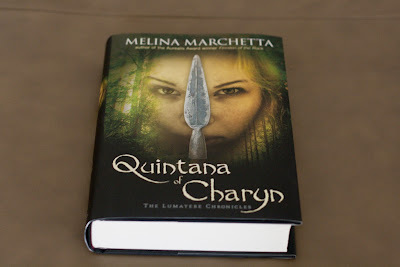 Quintana of Charyn looks pretty interesting. It was an outstanding read, as was the series. And yay for the Kindle Fire HD! I'm incredibly happy with it! I love the cover, it's a beautiful one! Happy reading! That's awesome that you got an e-reader. I remember when they first came out with the Amazon Kindle years ago, I was disgusted. I didn't want books to be replaced. 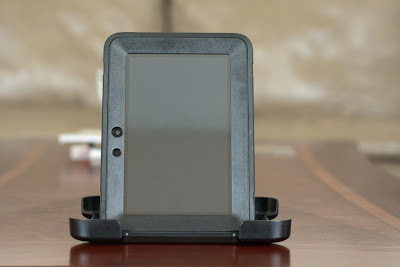 I still feel don't want them to be replaced, but having a Nook has made things slightly easier. I can buy books w/o worrying about them taking up too much space in my room. That's probably the most convenient part! I'm extremely attached to printed books, too, but I'm definitely getting used to the idea of being able to carry a bunch of books with me on one eReader. Plus more and more eBook exclusives, like series novellas, seem to be getting released, so I knew I was going to have to get an eReader soon. 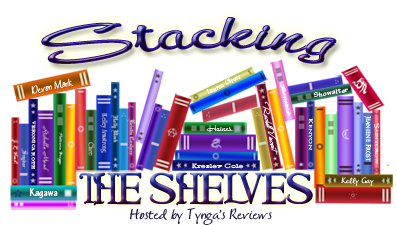 Now work on your NetGalley and Edelweiss accounts and get 'em ARCs! Yes! I was thinking that the other day. When I get them set up, I must exercise some self-control, lol. Congrats on getting you Kindle!!! I remember I was so excited when I got my first E-Reader. And I just don't like reading on my phone, I don't know why. Congrats on getting your kindle!! Mine has been on the rocks lately (I think it may be about time for an upgrade), so I definitely get what you mean about reading on your phone/laptop! And Catching Liam! I've heard so many good things about this one - these past few weeks. Hope you enjoy all of your new books, and your kindle! Thanks! Sorry to hear your Kindle is acting up; I love my electronic gadgets, but I wish that their lifespans were a little bit longer. YAY Congrats on the Kindle :D I know I've been addicted to mine since I first got one. I hope you enjoy!! 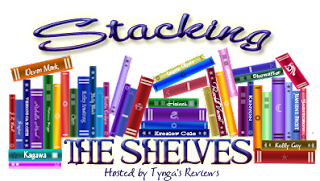 Jaclyn @ JC's Book Haven. It was a phenomenal series! I'm so sad that it's finished now; I really hope she decides to write more fantasy because she's just brilliant at it. I hope you enjoy your new ereader. Happy Reading! Wow congrats on the e-reader!!! I don't know how to live without mine after having one so long. Thank you for sharing those and I hope you enjoy your two new books and your e-reader! Thanks! It's so nice finally being able to read eBooks on an actual eReader! I'll always love print books and read them whenever I can, but I do love having the eReader now. It's a lot more portable than my laptop, and easier on my eyes than the phone.